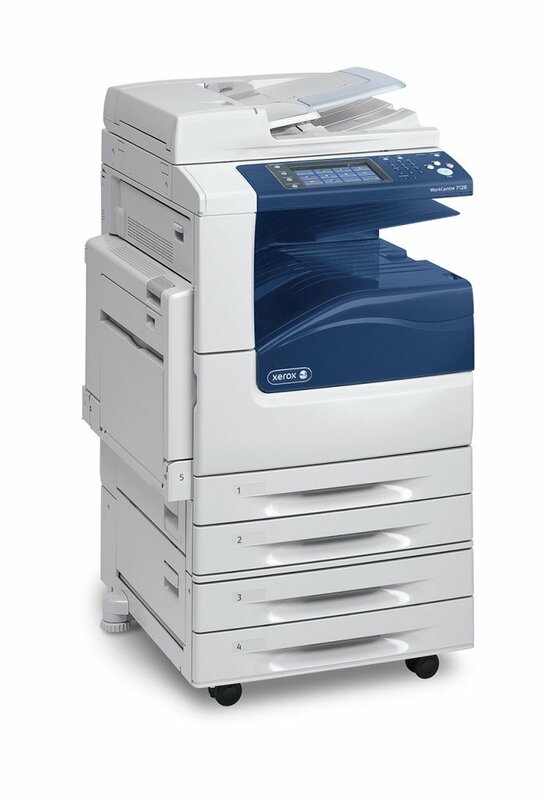 Xerox recently announced an excess inventory special for the Xerox 7120 that was replaced by the 7220 last year. These 2013 models have never been used and are marked down 27% from the previous lowest price. 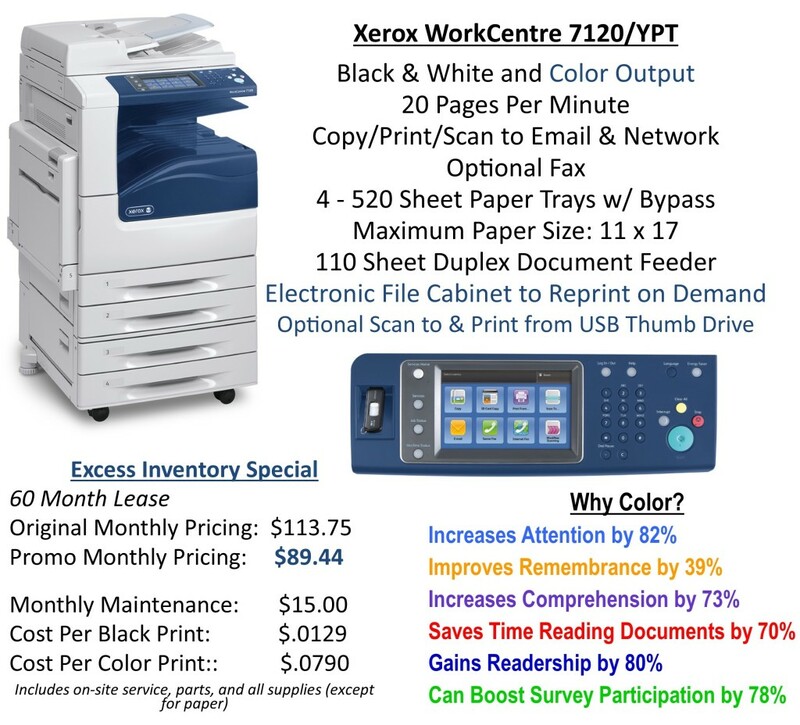 This is a fantastic opportunity to gain new technology, print in high impact color and make a smart financial decision! Act now! Special valid while we still have inventory! Contact us for more information on this special today.